My writing journey was swift and exhilarating, and my head is still spinning. My life quickly immersed into the world of writing. I love it! But, there have been surprises and setbacks along the way. When I was younger, I devoured romance novels. My problem was that once I started a novel, I found it impossible to put it down until I reached the happily-ever-after. As such, as life’s struggles crept in, I found the time spent reading was interfering with work and family. I went cold turkey, and stopped reading novels altogether. A decision I now sometimes regret, but it is what it is. Whatchagonna do? Then a few years back, my husband bought me a Kindle and I rediscovered my love of all things romance. My children are grown so I now found the time to read. Two years later, I finally came up for air and decided to try to write a novel. So, I checked out some books from the library, signed up for some online classes and began my manuscript on PROTECTING ROSE. I spent the next eight months writing my novel. When I had finished it, I was clueless on what to do next. I found the local RWA group in Milwaukee and joined. I also joined a critique group, which I think is an essential writing tool. That’s when I realized I had written my novel in a passive voice, instead of an active voice. A newbie mistake that most new writers make. I spent three months fixing this issue, as well as tweaking overused words and learning the ‘romance’ language. I even entered my WIP (work in progress) in some contests, receiving some really nice feedback, and finaled in the 2011 Launching a Star Contest. I submitted PROTECTING ROSE to three publishers, and received two offers. The coolest thing I’ve learned is that the very weakness that caused me to stop reading romance novels years ago, is now my greatest strength. My muse is always active. PROTECTING ROSE won the 2012 Gayle Wilson Award of Excellence. What a thrill! I was hopeful that the New York Times bestselling list was next. LOL! Well, color me naïve.… But, it was still awesome to be recognized by my peers! PROTECTING ROSE was released in paperback in October, so, we’ll see how that goes. I have to say, it is really cool to hold a book in my hand that I wrote, and I’m looking forward to conducting some book signings in the near future. PROTECTING ROSE has garnered some nice attention, and I’ve actually grown a decent fan base, but it still tends to get lost in cyberspace among the many, many other novels offered on Amazon and Barnes & Noble. I had no concept of all the marketing activities being an author would entail, and I’m still struggling to wrap my mind around that. But, if you don’t market your books, you can expect your novel to fall into the novel wasteland. Isn’t that a song? If not, it should be! The characters in A MAN TO TRUST are loosely based on individuals involved in the case as well. I built a romance between the lead detective on the case, and the widow of one of the murdered drug dealers. How fun is that! This is the second book, in a series of three. The first, PROTECTING ROSE, was my debut novel and released last December. A MAN TO TRUST came out October 24th this year. My third novel planned for this series is Rick and Sheila’s story, (no title yet) who are both characters from PROTECTING ROSE. Rick is also in A MAN TO TRUST. My plan is to complete the arc and bring all the characters together one last time. This time, Rick gets the girl! Thank you, Cheryl, for being our guest today! If you have questions or comments for Cheryl, she’ll be with us all day. Thank you! Congrats on your published work! Promo is the part few enjoy, but it’s required. Sigh! Thank you. It’s fun! I just finished the first draft my new novel! Now, to let it sit for a week or so, then start in on editing. What a wonderful story about your road to publication! I love how you worked at your craft, and your dedication to both family and writing. Congratulations on your debut paperback! And your new release, A Man to Trust, sounds super exciting!! Thanks, Mary. It’s been wild ride. I learn something new everyday. 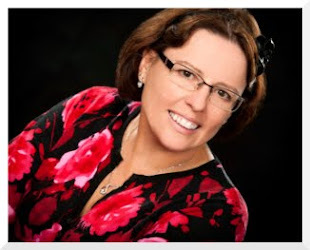 Hi Cheryl (she waves) Loved reading about your publishing journey. Best of luck with A Man To Trust. Loved it.